The Fountain Room has full height glass for beautiful views of the Courtyard and fountain. The room can be used for receptions, meetings, exhibitions, display or dining. With a direct acess to the Courtyard (and the Courtyard tent when in place), the room has a beautiful indoor/outdoor feel. 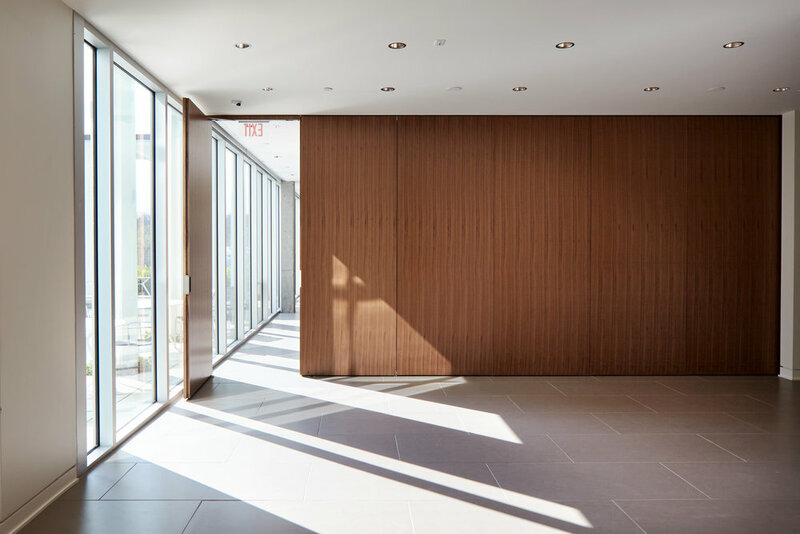 Large moveable walnut walls can transform the space into a separate venue or can be opened to the 1st floor lobby for a larger space. Chairs and tables, round, rectangular and hi-top, are available on-site.